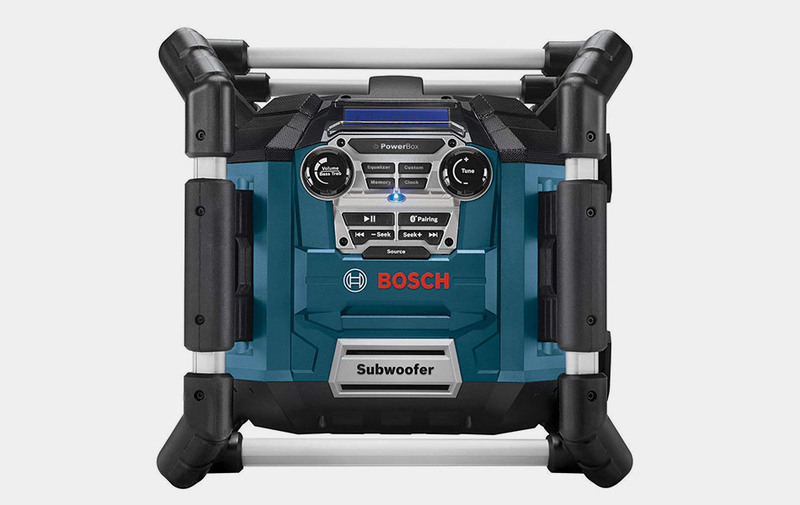 A boombox worthy of any job site, the Bosche Power Box can drown out the loudest construction noise. Packed four-way speakers and a bass-thumping subwoofer, it projects 360-degrees of sound. Pair with your Bluetooth-enabled devices to stream music from 150-feet away.